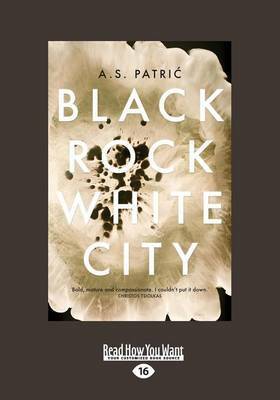 Black Rock White City is a novel about the damages of war, the limits of choice, and the hope of love. During a hot Melbourne summer Jovan's cleaning work at a bayside hospital is disrupted by acts of graffiti and violence becoming increasingly malevolent. For Jovan the mysterious words that must be cleaned away dislodge the poetry of the past. He and his wife Suzana were forced to flee Sarajevo and the death of their children. Intensely human, yet majestic in its moral vision, Black Rock White City is an essential story of Australia's suburbs now, of displacement and immediate threat, and the unexpected responses of two refugees as they try to reclaim their dreams. It is a breathtaking roar of energy that explores the immigrant experience with ferocity, beauty and humour. 'What impresses first about A.S. Patric's novel is the assuredness of the writing, his accomplished and confident language. But what is most moving is the humanity of his story, the vividness and truth of his characters' emotional worlds. Black Rock White City is a bold, mature and compassionate novel, and I couldn't put it down.' - Christos Tsiolkas.